UniMatch Classical belts are designed to perform in tandem in multiple V-Belt drives, maintaining drive efficiency and classical belt performance. Megadyne V-belts in raw edge, cogged construction are ideally suited to high-speed compact drives. 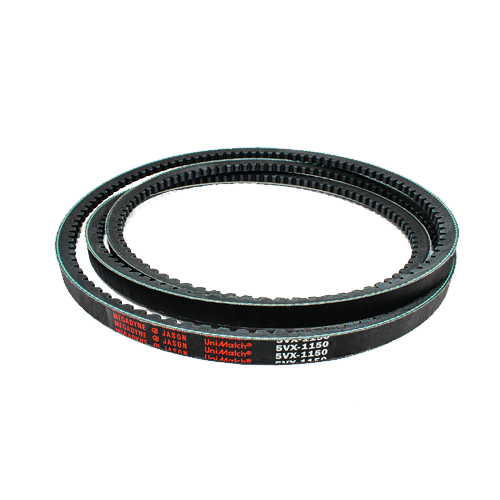 These belts all have the UniMatch® feature ensuring belts of matched length when used on drives requiring the use of multiple, or a set of belts. Cogged Raw Edge V-belts are designated by a letter indicating belt section, followed by "X" which signifies cogged, raw edge construction that has greater power capacity than standard wrapped construction. Are you interested in UniMatch Cogged Raw Edge Classical?